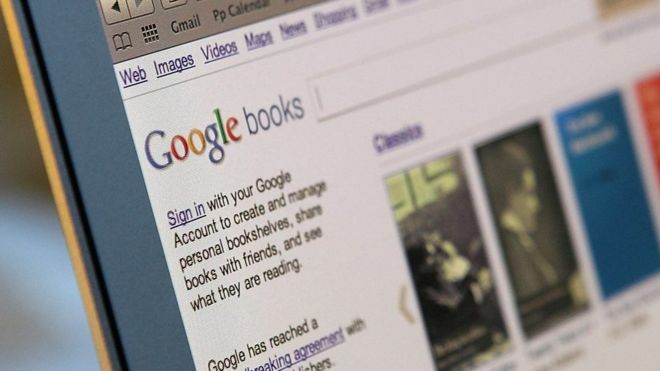 The US Supreme Court has ruled in favour of Google in its 11-year legal battle with an authors group. The Court said it would not hear an appeal from the Authors Guild, which claimed Google breached copyright laws by scanning books without permission. The technology giant began the process in 2004, so it could include extracts in a searchable database, and it was sued by the Authors Guild in 2005. The Supreme Court’s judgement is the final ruling on the matter. Google’s database of books lets people search through millions of titles and read passages and selected pages from them. While some of the books in the database are old titles that are no longer protected by copyright, millions are more recent publications. The Authors Guild had argued that the project undermined authors’ ability to make money from their work. Google said its database was a “fair use” of protected works, describing it as “a card catalogue for the digital age”. The firm could have faced billions of dollars in damages claims from authors if it had lost the case. The Authors Guild said it was “disappointed” that the Supreme Court would not hear its appeal. The organisation’s president Roxana Robinson said: “We believed then and we believe now that authors should be compensated when their work is copied for commercial purposes”.